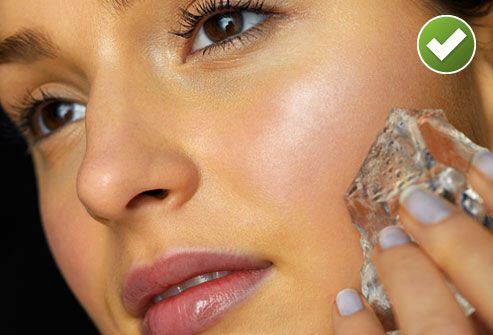 For swollen pimples, gently apply ice for a minute or so. It doesn't work for everyone, but there's no harm in trying. Just don't keep the ice on so long that it irritates your skin. When a whitehead seems to beckon, "Squeeze me," it's best to resist. If you squeeze pimples, they take longer to heal, and you raise your risk of infection and scarring. An opened-up pimple is also harder to cover with makeup because you're dealing with a ragged surface instead of a smooth one. 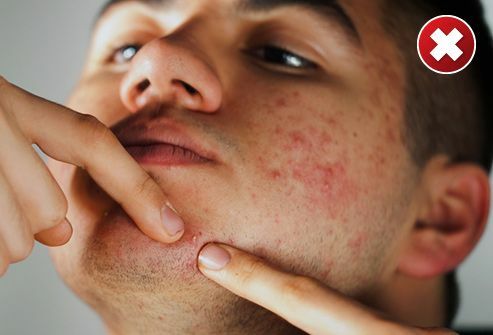 Look for over-the-counter acne remedies with benzoyl peroxide or sulfur and resorcinol that can reduce your blemish. You may not get immediate or dramatic results, though. Acne treatments may dry or irritate the skin. Check with your dermatologist before combining products or using more than the product label recommends. Save the toothpaste for your teeth. 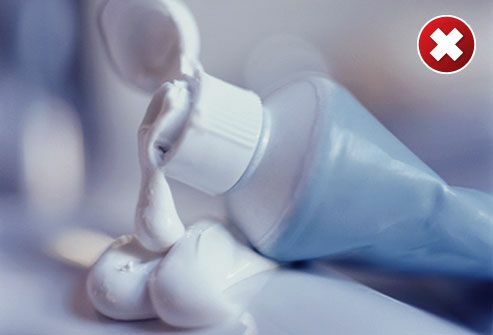 Although some ingredients in toothpaste might help dry out pimples, toothpaste can trigger acne. To make matters worse, the fluoride and whitening ingredients could cause an allergic reaction when applied to the skin. For large acne cysts, corticosteroid injections may offer a quick fix. 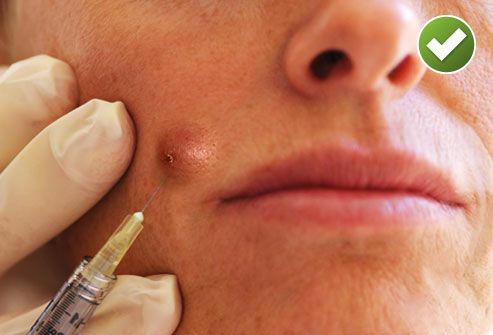 A dermatologist injects a diluted version of a corticosteroid directly into the pimple to reduce swelling and prevent scarring. After the injection, the cyst will shrink over the next few days. You should not attempt to pick at or treat a cyst yourself. If you search the Internet for acne home remedies, you may come across a suggestion to use crushed aspirin paste. 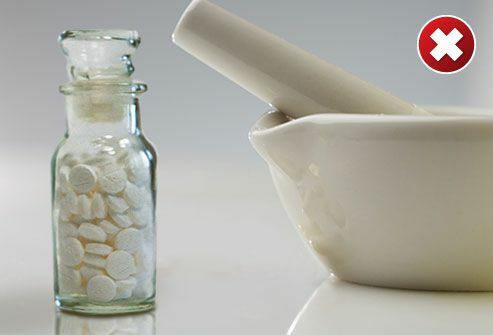 Aspirin is related to salicylic acid, a common ingredient in over-the-counter acne products. But salicylic acid products are specifically made for the skin. Applying a paste of pure aspirin could irritate your skin. Tea tree oil can kill bacteria. Some people use it to treat minor skin irritations, including acne. There isn't much research on how effective it is, but tea tree oil is safe to put directly on your skin in a diluted form. Try it on a small area first to make sure you don't have an allergic reaction. 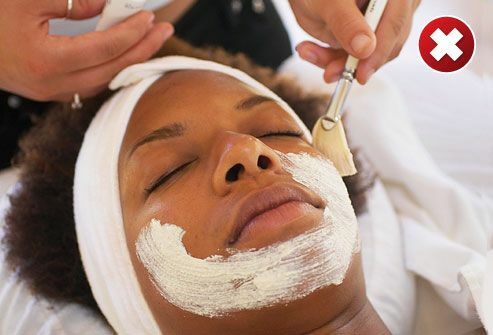 Although facials, light chemical peels, and other spa treatments can sometimes improve acne, the results are not immediate. In the short term, your skin may look more irritated. A special occasion is not the time to try a new treatment. If you have a big event coming up, schedule your facial several weeks ahead. 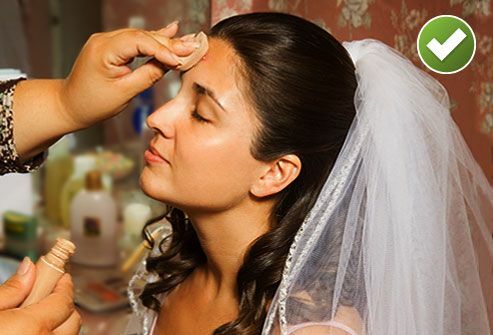 When acne strikes right before your wedding or other big event, it's no time for wimpy concealer. Use a product with enough pigment to hide pimples with just a thin coat. 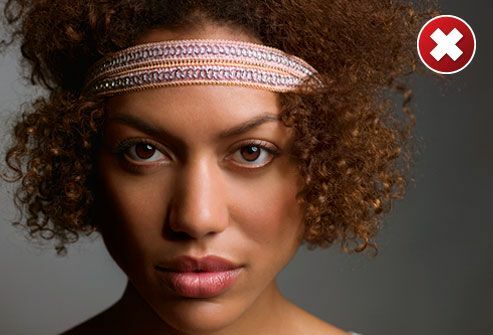 If your pimples are only on your forehead, you might be tempted to hide them under a tight-fitting cap or headband. Although that's fine for a quick event, you may pay a price for long-term camouflage. The heat and friction could make your acne worse. Using a concealer that's too light or too dark can make a pimple stand out more. 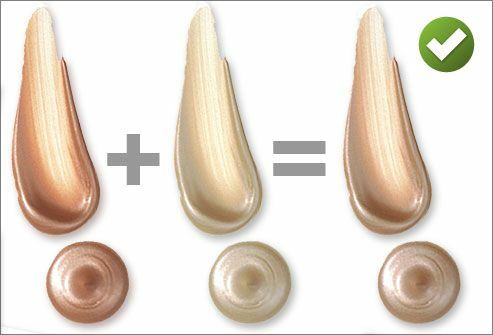 Try mixing two shades of concealer to make a custom blend that's a precise match for your skin. Be careful to blend the edges of the concealed area to create a seamless line with the surrounding skin. Use the same custom blend for touch-ups throughout the day. Scientifica / Visuals Unlimited, Inc.
Laura Bissessar, professional makeup artist, Ft. Lauderdale, Fla.
Jonette Keri, MD, PhD, associate professor of dermatology, University of Miami Miller School of Medicine; chief of dermatology, Miami VA Hospital. 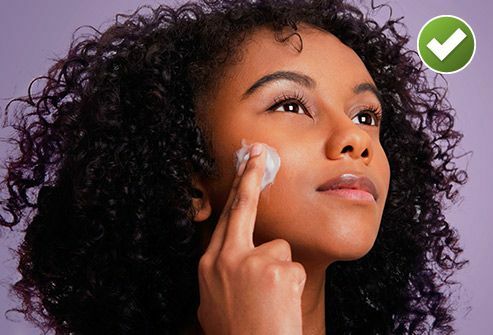 AcneNet: "7 Acne Skin Care Taboos," "Treating Severe Acne," "Frequently Asked Questions About Acne," "Acne Treatment Available Without a Prescription," "AcneNet Glossary," "Prescription Medications for Treating Acne." Russell, J. American Family Physician, Jan. 15, 2000; vol 61: pp 357-366. Nation Women's Health Information Center: "Acne." 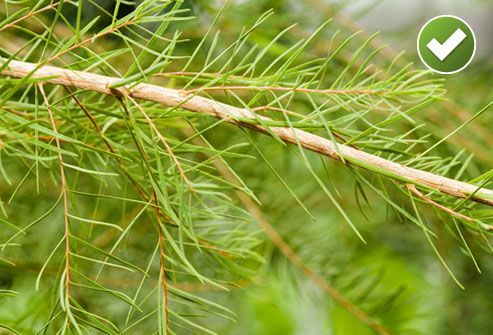 WebMD Medical Reference from Healthwise: "Tea Tree Oil (Melaleuca alternifolia) - Topic Overview." National Center for Complementary and Alternative Medicine: "Herbs at a Glance: Tea Tree Oil." O'Connor, Daniel P., and Fincher, A. Louise. Clinical Pathology for Athletic Trainers: Recognizing Systemic Disease. Thorofare, NJ: SLACK Incorporated, 2008; p. 300.